Soybean soaking is the initial tache of producing soybean curd. Vacuum soybean suction machine is tofu equipment used to transferring dry or wet soybeans of medium or small production lines. This machine transfers the dry beans from floor to upstairs suction machine or transfers wet soybeans to grinding machine. Use a vortex pump to elicit the air existing in the bean-storage barrel until achieve vacuum state. The soybeans will along the air-pass channel enter into the barrel then transit to soaking barrel while the wet soybeans enter into the grinding machine. Vacuum soybean suction machine manufactured by our company can save large labor forces and improve the working efficiency. It's mainly made of stainless steel and needs no special environment requirement while being installed or used. In addition, the transfer by hose without dusts flying also makes it really ideal tofu equipment. As a professional tofu equipment manufacture in China, we can guarantee the high quality. This tofu machine can distribute the soybeans into the soaking barrels in fix quantity with the distributors gliding over the barrel channel; this machine can stop at will and fill barrels with soybeans. This distributor can cursorily measure the general dosage of soaking soybeans and its holding capacity of 160 kilograms dry soybeans greatly saves much convey manpower. So this tofu machine that manufactured in China is really a good choice for more quick process. After soybean soaking procedure, you should utilize a hose to spray tap water to wash off the acid water coating on the appearance of soybeans. 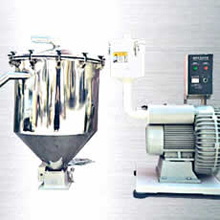 This tofu machine uses full stainless steel structure, so it is features such as burliness, durability and long life-span capacity, which makes it become a necessary tofu maker. This machine we make in China also has other characteristics such as simple structure, convenient operation and so on. This tofu equipment is used to deliver the soaking wet soybeans to next production procedure while further depositing the stone beans or other relative impurities. It's made of refined stainless steel and the special designed deposition tank can efficiently hold up relative impurities. The length of impurities sifters can be adjusted according to the output. In addition, it's easy to install. Soaking soybeans is an important tache during the production procedure of soybean curd. Soaking tank(Tofu Equipment) is the soybean food equipment that used to soak soybeans, and it mainly applies cube structure, in addition, the cone-base design can not only avoid remaining soybeans while filling but can also save water thus can efficiently cut down the production cost. The base of soybean curd machine is equipped with a filtrate net that can discharge the acid water during the soaking procedure. This soaking tank we manufactured in China will be a good choice for soybean soaking comparing with other small tanks.